On June 22, 2018, the Supreme Court decided Carpenter v. United States. In a 5-4 opinion authored by the Chief Justice, the Court held that the government conducts a search for the purposes of the Fourth Amendment when it accesses historic cell site location information for a period of seven days or more. As a consequence, it must generally obtain a warrant before doing so. The case was widely-anticipated by practitioners and academics because it showcased another clash between traditional legal doctrine and the realities of modern life. The victory for the defendant and the reasoning in his opinion could have far-reaching implications. The Court began by giving a background of the technology at issue. “Cell phones perform their wide and growing variety of functions by connecting to a set of radio antennas called cell sites.” Slip op. at 1. The “phones continuously scan their environment looking for the best signal, which generally comes from the closest cell site.” Id. “Each time the phone connects to a cell site, it generates a time-stamped record known as cell-site location information (CSLI). “The precision of this information depends on the size of the geographic area covered by the cell site.” Id. at 2. For example, if Cell Site A services phones within one mile, a connection to Site A indicates that the device is within a mile of that site. But coverage areas of cell sites often overlap, so if Cell Site A and B each cover one mile, but their coverage overlaps, a connection to Site A will indicate that a phone is within one mile of Site A and is closer to Site A than Site B. When there are several sites with overlapping coverage areas, a more precise picture can be obtained. Fig. 1: Connecting to Site A indicates that the phone is within the area covered by the blue circle,and not within the area covered by the red circle. Fig. 2: The same principle applied to multiple towers. A connection to Site A indicates that the phone is within the blue area, and any overlap is excluded from coverage. Wireless service providers such as AT&T and Verizon had collected and stored records of these connections made for phone calls, and “in recent years phone companies have also collected information from the transmission of text messages and routine data connections. Accordingly, modern cell phones generate increasingly vast amounts of increasingly precise CSLI.” Slip op. at 2. Still, the location is somewhat imprecise. 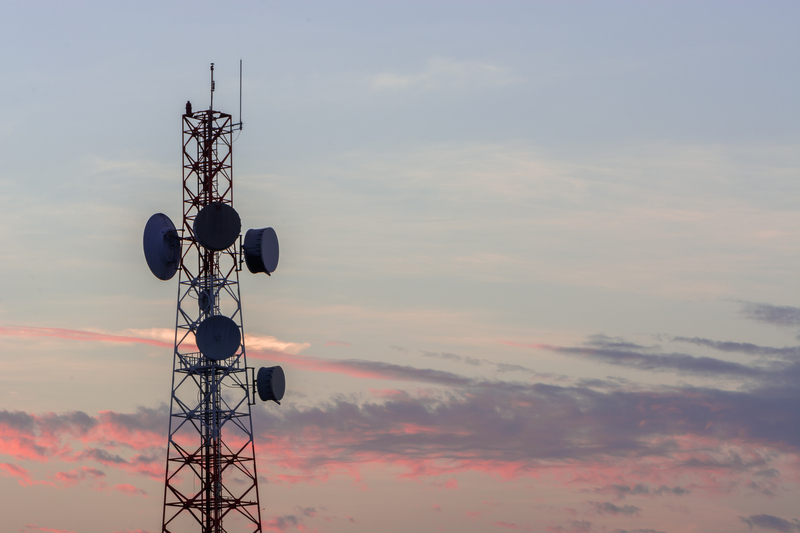 The Court noted that “in urban areas cell-site records often would reveal the location of a cell phone user within an area covering between around a dozen and several hundred city blocks. In rural areas cell-site records can be up to 40 times more imprecise.” Id. at 4. Before Carpenter, the government was able to gain access to these records by a court order issued under the Stored Communications Act. Id. at 18. Unlike a warrant, which requires the government to show probable cause, the SCA only “required the Government to show ‘reasonable grounds’ for believing that the records were ‘relevant and material to an ongoing investigation.’” Id. at 18-19 (quoting 18 U.S.C. §2703(d)). Mr. Carpenter was convicted of a series of armed robberies. During its investigation, the government used two orders to produce a total of 129 days’ worth of CLSI from Sprint at MetroPCS. Id. at 3. “Altogether the Government obtained 12,898 location points cataloging Carpenter’s movements—an average of 101 data points per day.” Id. At trial, the prosecutors introduced the records to corroborate testimony from Mr. Carpenter’s co-defendants. Lower courts had been almost unanimous in holding that collection of the CSLI through the SCA did not amount to a search, largely because of prior cases that define a “search” for the purposes of the Fourth Amendment. The Supreme Court in Carpenter disagreed and found it was a search, stating that collection of CSLI should “generally” require police to get a warrant. The opinion is best characterized by a line where the Chief Justice tells us what the case is all about: “[T]his case is not about ‘using a phone’ or a person’s movement at a particular time. It is about a detailed chronicle of a person’s physical presence compiled every day, every moment, over several years.” Slip op. at 16-17. The Court began by distinguishing CSLI from conventional visual surveillance. It cited authority for the proposition that a “majority of this Court has already recognized that individuals have a reasonable expectation of privacy in the whole of their physical movements.” Slip op. at 12. It said “historical cell-site records present even greater privacy concerns than the GPS monitoring of a vehicle” because, unlike a car, “a cell phone — almost a feature of human anatomy — tracks nearly exactly the movements of its owner.” Id. at 13. “A cell phone faithfully follows its owner beyond public thoroughfares and into private residences, doctor’s offices, political headquarters, and other potentially revealing locales.” Id. Critically, because location information is continually logged for all of the 400 million devices in the United States—not just those belonging to persons who might happen to come under investigation— this newfound tracking capacity runs against everyone. Unlike with the GPS device in Jones, police need not even know in advance whether they want to follow a particular individual, or when. Slip op. at 13-14. Carpenter has many implications. For the first time, the Court “recognized” a privacy interest not tied to a specific physical location. But another part of Fourth Amendment law also seems to have been modified: standing because Carpenter allowed the individual to challenge the search of property held by his cell service carrier, the CSLI. Particularly in federal criminal cases, the government is routinely using CSLI to prove cases. Contact the lawyers at Willey and Chamberlain to make sure your rights are protected.